How Do I Check The Surf Forecast? 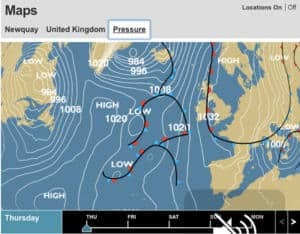 Home Blog How do I check the surf forecast? It’s 2018; if you haven’t already learnt to surf or bodyboard then you need to do so with the Newquay Activity Centre! Whatever the weather or time of year, there are waves in Cornwall waiting to be ridden. You just need to know where and how to find them. Handily all the information needed for predicting surf can be found in our phones and laptops. But swell charts can be daunting things to see for the first time and the fickle nature of our favourite spots can be frustrating. So if you’ve learnt to surf or are about to have your first lesson, here are the main things to look for when searching for waves. For waves to be created we need storms. These storms sit out at sea as low-pressure weather systems. Air is constantly moving in these systems causing wind to hit the surface of the ocean and create ripples. The ripples travel outwards from the storm, gaining momentum as swells until they reach our beaches. The bigger the storm is, the bigger the groundswell and the waves it generates. Wind is vital to the process! Localised winds in your area will then affect the waves as they roll in to break at the beach. Offshore winds blow off the shore (simple way to remember it) and are the best for grooming waves into being clean and glassy. They effectively hold the lip up, giving you a more open wave face to ride. Onshore winds do the opposite, creating choppy conditions that are less easy to ride. Which direction does your favourite beach face? Take a look at a map, the beach’s orientation will affect the waves that reach It. For example, Westerly swells will hit West facing beaches head on, whilst a beach facing North West will get different waves from the same swell. Bad weather? Check the surf! Low-pressure weather systems generally bring bad weather when they hit our shorelines but they create the biggest, best swells out at sea. This doesn’t mean you’ll never get to surf in the sun, it means you’ll be able to surf year-round even when the weather is grey. It’s a no brainer, the BBC are the bosses with their predictions and summaries. Weather maps are invaluable tools for predicting surf because they show high and low pressure systems as they move around offshore. The BBC uses time-lapse maps that track these systems over a period of five days as they move around above us. 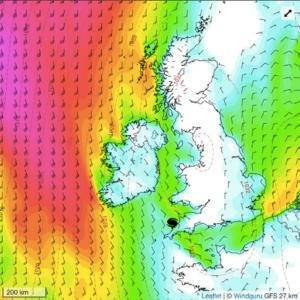 Wind Guru gives you accurate wind and wave predictions as well as two-week wave forecast, but the most useful things the site provides are once again the maps, which demonstrate the wind activity and direction. 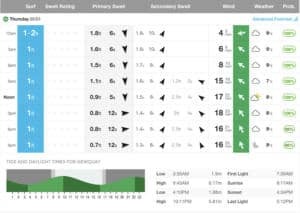 These websites show wave height, swell directions and wind predictions over a period of 6-10 days, basically entire surf forecast. 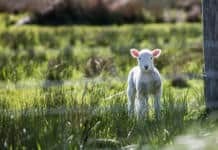 These sites also provide clear information on tides and daylight times for each day alongside the swell predications. Tides play a pivotal role in surf conditions. A seabed’s bathymetry (the shape and contours of the beach) will change the size and shape of waves at different times of the day. This sounds more complicated than it is, you’ll become familiar with the waves just by being in the water. These sites also provide webcam links to beaches, so you can see the conditions live. This app allows you to take a photo of your favourite surf spot and automatically save it stamped with the real-time swell, wind and tide data. It’s like a surfer’s diary entry that can be revisited. It can help you build up a detailed record of the surf conditions in your area and jog your memory back to some of your best sessions in the water. Surfing in the rain: Not a bad thing! As you know, bad weather can mean good waves and there will be less people in the water. You’ll be getting wet anyway, might as well catch some waves! Winter parking: Parking charges at spots along the coast are often cheaper or free during the winter months. Dawn and Dusk: These are great times to get in the surf! ‘Doing a dawny’ is a right of passage for surfers. It will set you up for the day ahead and help you wind down for the evening. The wind is usually weaker at this time of day, which means you’ll likely find swell to be cleaner around these times. Are you intrigued? 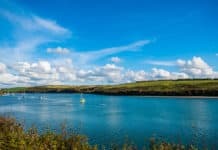 We’re the number one provider of water sport activities in Newquay. Find out more about our activities, or call us on 01637 877722 and book a lesson today!